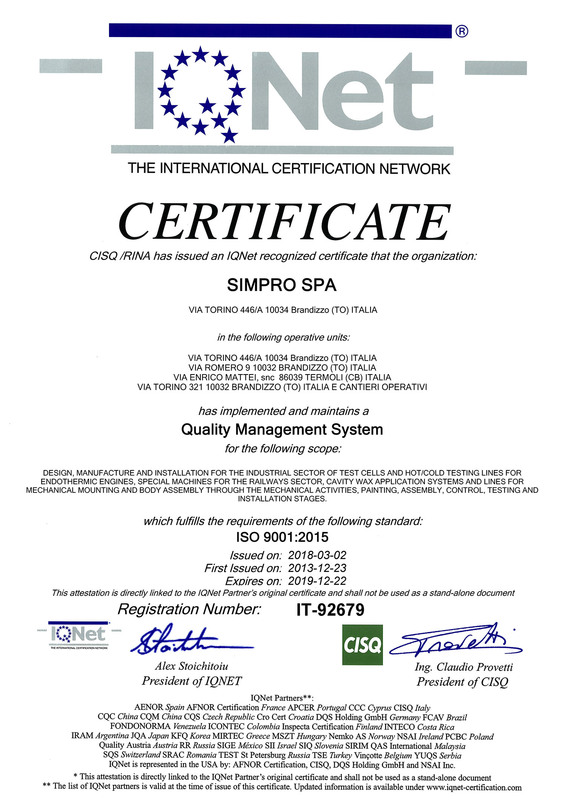 Together with the creation of the first organization chart and of the first Quality Policy, Simpro achieved the certification from RINA, in conformity with the actual ISO 9001:2008 standard. With the creation of the first Environmental Policy, Simpro achieved also the certification in conformity with the actual ISO 14001:2004 standard. 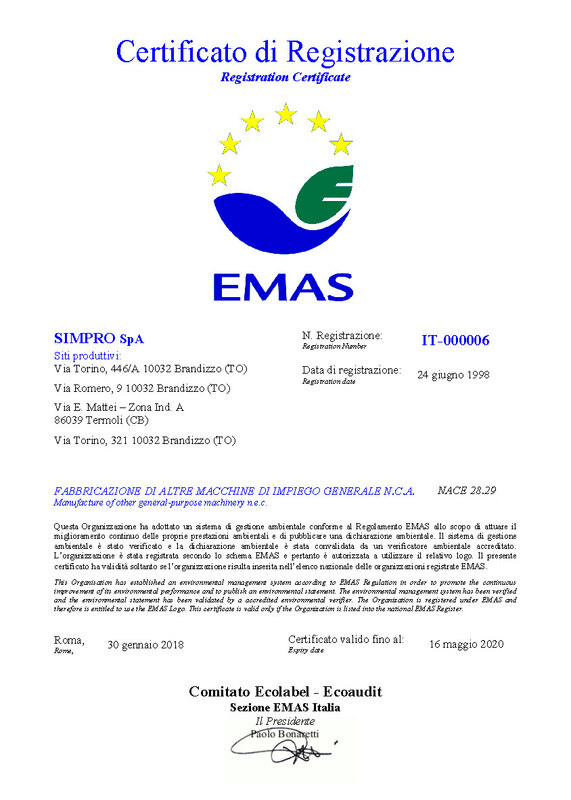 Finally, Simpro achieved the certification from EMAS, in conformity with the actual Regulation n°1221/2009 of European Parliament. 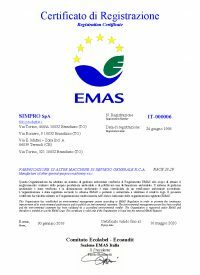 The EU Eco-Management and Audit Scheme is a management instrument developed by the European Commission to evaluate, report, and improve environmental performances. 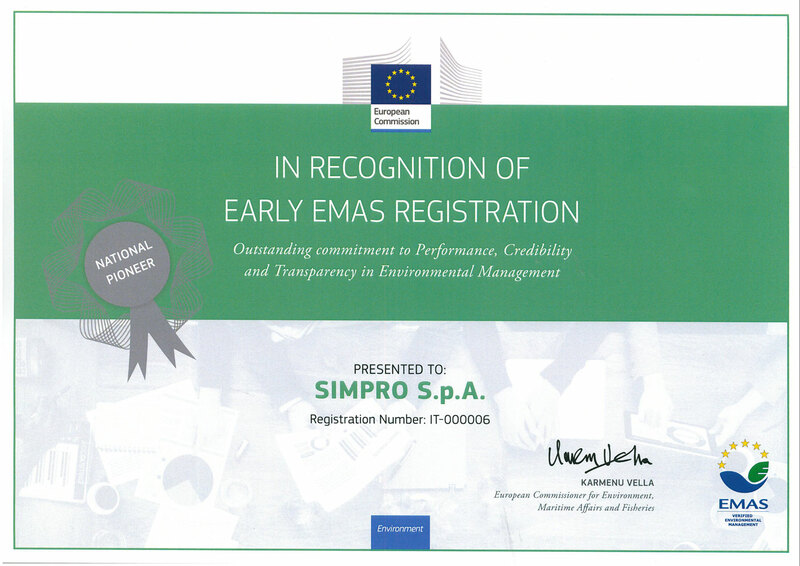 Therefore, Simpro had to give itself an internal Quality, Environmental and Safety Service which has always been following the road to the constant improvement, oriented to the optimization of its own activities, as well as to the obtainment of a high-level final product capable of satisfying the most demanding customers. By now, it is a mature and well-established system, such as to be adopted in every functional area of the Simpro Group Company. 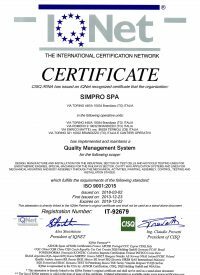 By this certifications, Simpro has improved its approach to worldwide challenges, looking for ways to continually improve its performances.